Holiday home for up to twelve people on the archipelago, north of Gothenburg. 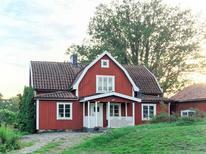 A holiday house in Sweden costs on average USD 509 in the cheap travel period and USD 997 in the peak season per week. These details are of course in relation to the house and not per person as well as includes the obligatory additional charges. Located in northern Europe, and bordered by Finland and Norway, Sweden is a beautiful Scandinavian country with plenty of coastal islands, inland lakes, glaciated mountains, and vast snow forests. Stockholm is the capital and largest city, known for being built upon an archipelago. The nation has a population of 10.2 million. In Sweden, you will find mountains in the north, sandy beaches in the south, reefs on the eastern coast, and the scenic islands Gotland and Oland in the Baltic Sea. 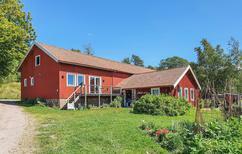 Book a privately owned holiday home in Sweden and stay close to nature for an unforgettable Scandinavian holiday. Sweden, in the heart of Scandinavia is famed for its stunning natural wonders. It is the perfect vacation destination for those who want to escape from the hustle and bustle of daily life. 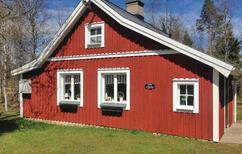 There are endless possibilities for spending a memorable vacation in a holiday home in Sweden. Throughout the country, you will find holiday homes with idyllic surroundings such as beautiful lakes, rivers, parklands, or golf courses. Your typical Swedish holiday home is a wooden house painted in red and brown, nestled next to an idyllic lake and surrounded by lush green forest. Ideal for a great Swedish holiday! Many of the holiday houses are located on secluded properties, at a remove from nearby villages and towns, which ensures tranquillity and deep relaxation. 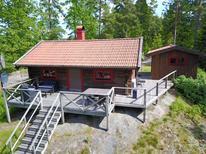 There are plenty of holiday homes in Sweden for you to choose from. Most visitors prefer to stay in a holiday apartment instead of a traditional hotel when they are on holiday, as these holiday rentals are much more comfortable, romantic, and cosy than conventional hotel rooms. These self-catered accommodations provide the highest level of flexibility and comfort for a truly relaxing stay. 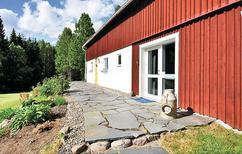 When you rent a holiday home in Sweden, for instance in the cosy region of Småland, you can cook your own food at home, invite friends, and enjoy various outdoor activities, while paying affordable rates. 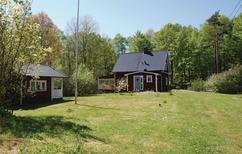 Most Swedish holiday houses feature all necessary amenities despite their secluded setting. Many holiday houses also have a pool and sauna, ensuring a fantastic, relaxing holiday. 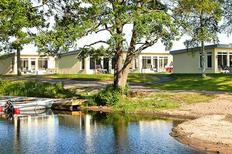 Enjoy a plethora of exciting activities from your holiday home in Sweden. Don't forget to visit Stockholm's two UNESCO World Heritage Sites, the Woodland Cemetery and the Royal Palace Drottningholm. Stockholm is also renowned for its iconic museums, the most notable being the Museum of Modern Art, Sweden's national modern art gallery featuring works by artists such as Dali and Picasso. Other must-see sites include the Grona Lund amusement park, Kungliga Slottet Royal Palace, the Vasa Museum, the National Museum, the Modern Museum, the Swedish Museum of Natural History, and Storkyrkan cathedral. Guests at Sweden holiday apartments near Stockholm can also enjoy sandy beaches on the scenic islands of the Stockholm archipelago. If you prefer to discover the Scandinavian wilderness far from the city, travel out to Gotland, an island off the east coast of Sweden. It is Sweden's largest island and a popular resort area with limestone cliffs and sandy beaches. Sweden is mainly divided into three broad regions that include North Sweden (Norrland), Central Sweden (Svealand), and South Sweden (Gotaland). North Sweden is ideal for active travellers in both summer and winter. Visitors can see the famous northern lights from the doorstep of their holiday house here. Countless lakes and deep woods dominate Central Sweden, where a visit to the capital city of Stockholm is a must. If you are planning to rent a holiday home in Småland, nestled in the south of Sweden, you can explore amazing cities like Gothenburg and Malmoe. The quaint town of Visby is also worth visiting, and it hosts an annual city festival each August. The fastest way to reach your Swedish holiday home from the U.K. is to take a flight. It will take approximately two and a half hours to reach Sweden. Sweden has several airports, and you can fly straight to some of the country's major cities, including Stockholm, Gothenburg, and Malmoe. Train rides in Sweden are among the most scenic in Europe, showcasing the country’s verdant landscapes and fjords at every turn. Buses are the most affordable transport option, and the roads are well maintained so renting a car is also an easy option. If you’re planning to explore Stockholm, it is recommended to purchase a Stockholm Card, which includes access to public transportation, and a few ferry rides. 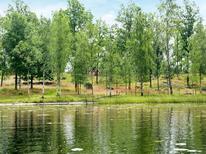 Sweden has a temperate climate with comfortable temperatures in the warm season. Swedish summers are pleasant, though some rain is to be expected. Winters (November to March) are very cold with thick layers of snow, perfect for cross-country skiing. The best time to visit Sweden is summer (June to August). You can also enjoy the special midnight sun during the summer nights when the sun often does not set until after midnight or even later. If you book your holiday home in Sweden from June to August, you will experience pleasant weather for enjoying outdoor events and activities, which include swimming at some of the country's beautiful beaches. You may need a visa or passport to visit Sweden, depending on your nationality. EU citizens don’t need a visa in order to travel to Sweden, and they can enter the country thanks to their identity cards. Citizens from countries outside the EU will need a visa. Travellers must produce proof of funds and have a return ticket showing when they will be leaving the country. Visitors do not need any vaccinations to enter Sweden, unless they are coming from an infected region. The currency of Sweden is the euro.